The best way to take advantage of extra skills and labour without being burdened by many of the responsibilities of an employer is to use freelance workers. Freelancers are self-employed or belong to separate outside companies and in most cases will look after all their own income tax affairs and National Insurance contributions. By recruiting freelance workers, it is entirely possible for someone with no experience of cutting hair – and no interest in learning how – to open and run a successful barber shop. Freelancers will even reduce costs by using and maintaining their own equipment, so there is no need to buy expensive scissors and clippers. All the owner of the barbers has to provide is the barber shop and enough workstations for the freelance recruits work at. In effect, the freelance cutters will rent workstation space for a percentage of their takings. For example, the barbers business may take 60 per cent of the price of every haircut the freelance cutters do, with the freelancers taking the other 40 per cent. If a barber shop is in a busy location, is well fitted-out and can charge a premium for haircuts it can attract the best freelancers because their earning potential will be high. Meanwhile, the owner of the barbers has the minimum of employer obligations, but should ensure the workers are legally defined as self-employed and check that the business will not be responsible for deducting tax and National Insurance from their payments. Those who are genuinely self-employed may not be entitled to the same rights afforded to employees but, depending on the contract under which their services are provided, they may qualify as workers. Under these circumstances they would be entitled to workers’ rights such as holiday pay. If in any doubt about a person’s employment status, seek professional advice. As an employer, the barbers will still be responsible for freelancers’ health and safety, and check that the business insurance is not affected by having non-employees working on the premises. Also, remember to avoid discrimination against anyone who carries out work for the business, whether a permanent member of staff or a freelancer. Recruiting and employing freelance staff can be extremely lucrative for a barber shop. A good freelance cutter can easily do at least four haircuts per hour and so on a busy Saturday – with the shop open from 9am-6pm and allowing for a lunch hour – it is reasonable to expect a freelancer to do 32 haircuts. If there is enough space in the barber shop for five workstations, and there are enough customers coming through the door, five freelance cutters could get through 160 haircuts on one Saturday. 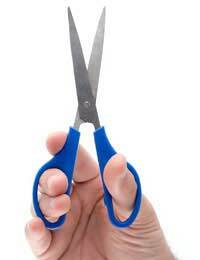 At £8 per haircut, the business will have a turnover of £768 for one day by collecting 60 per cent of the takings. Each freelancer would have over £102 by sharing 40 per cent of the takings. Freelancers have a right to the National Minimum Wage, but if they are being paid by their own firms or are self-employed sole traders this will not affect the barbers. In any case, if the barber shop is to be a success then the freelance cutters will have to be doing enough work to earn a sum far in excess of the minimum wage.